A small baby boy was born at a local hospital and sadly his mother was unable to take him home as she did not have the means to care for him. She had asked that he be placed in adoption. He was placed in a Children’s Home while he was being prepared for adoption. It was sadly discovered that he had a medical condition that made it very difficult to find him a family. He grew up at the Children’s Home and would watch as his friends were all adopted and he was left behind. A few months after he was placed there, another little boy was brought to the children’s home by his mother after her shack had been washed away in a flood. Tragically his father had died and his mother passed away some time after bringing him to the home. Many attempts were made to help him bond with his paternal family but they were unsuccessful. It would not have been in his best interests to be placed with them and so adoption was considered to be the best option for him. When a family came forward to adopt the first little boy, we asked them if they would consider adopting both boys as the boys had grown up together at the Children’s home and had a very close relationship. They would often be found sleeping cuddled together in one bed in the morning. Each boy would copy everything the other would do. They were not brothers by blood but they had become brothers by choice and circumstance. The family were very excited to adopt two boys which is what they had originally wanted when they started the adoption process. The boys began Skyping with their new family and would look excitedly at a photo album of them every day until they finally met them. The day they met them they ran to hug their new Mom and Dad and the bonding process was spectacular. 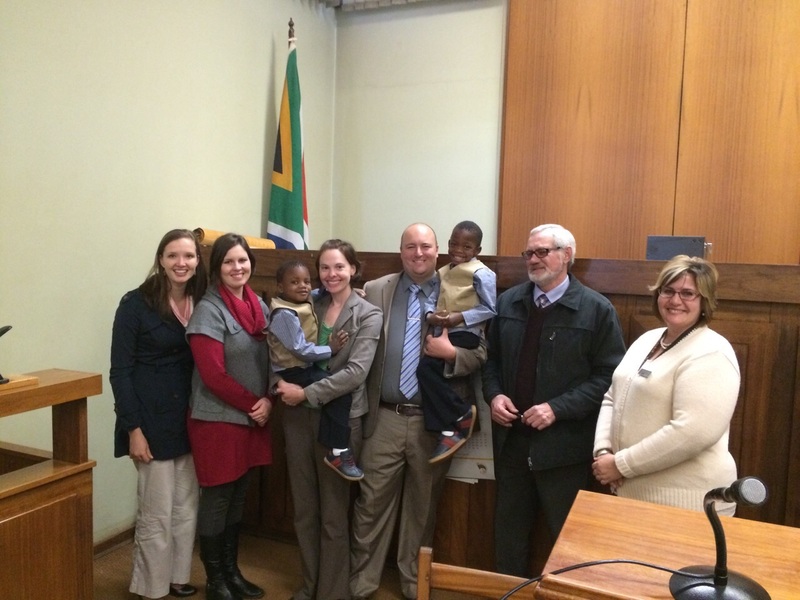 The photo below shows the excitement and Joy from when the adoption was finalized at court. They are now happy - together in their forever family.